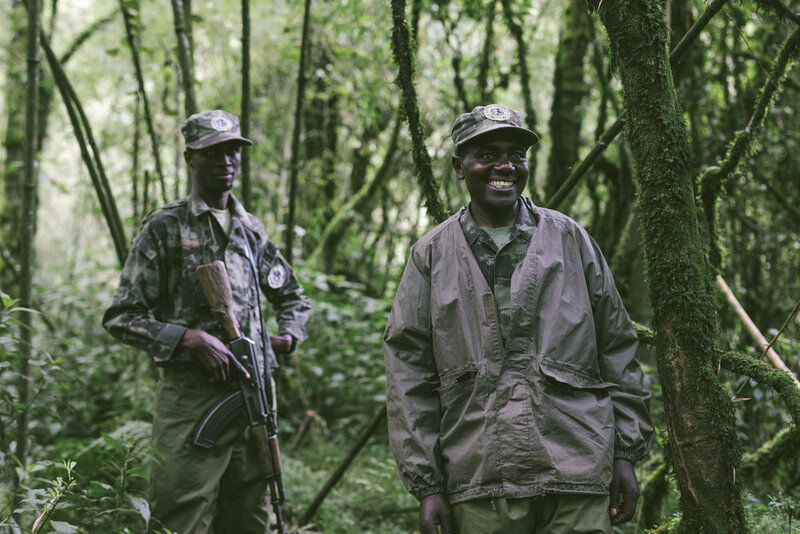 The jungle is hard going and dense so there was not much warning before we came face to face with a member of the 27 strong Agaysha Family. Unnerving for both of us at first, we soon settled into each others company. 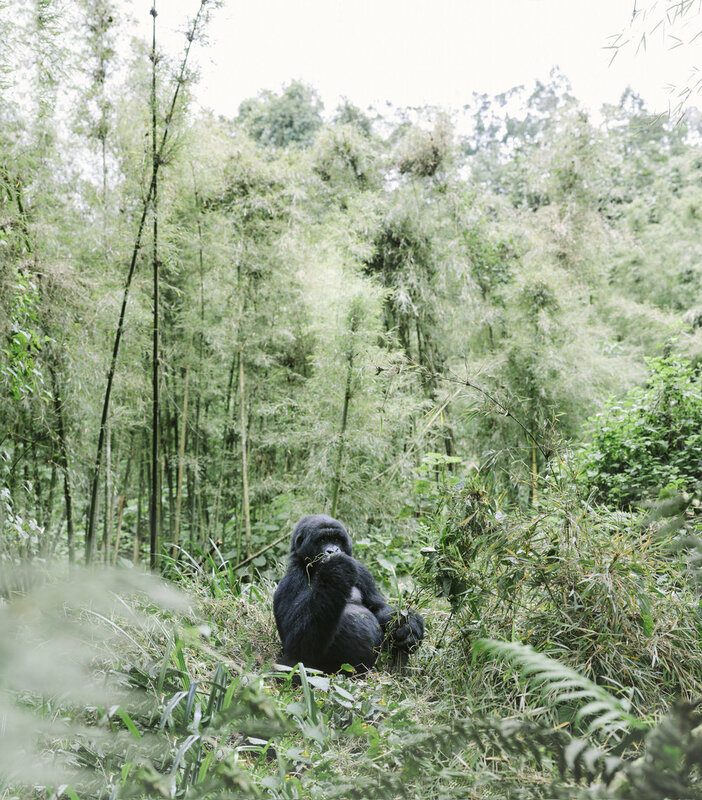 A portrait of the dominant male Silverback in the group. He is called Agaysha or "Special One" and is around 35 years of age. I am close enough to touch him here, but refrain of course. He is curious of my presence, and not in the least bit threatening, letting me photograph him and his family for around an hour. 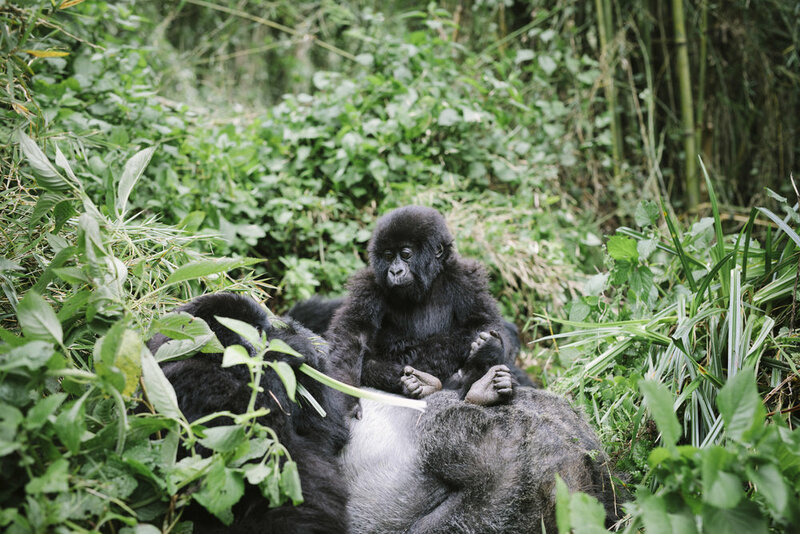 Infant Gorillas playing on Agaysha's silver back. A large female watching me whilst breakfasting on Bamboo. 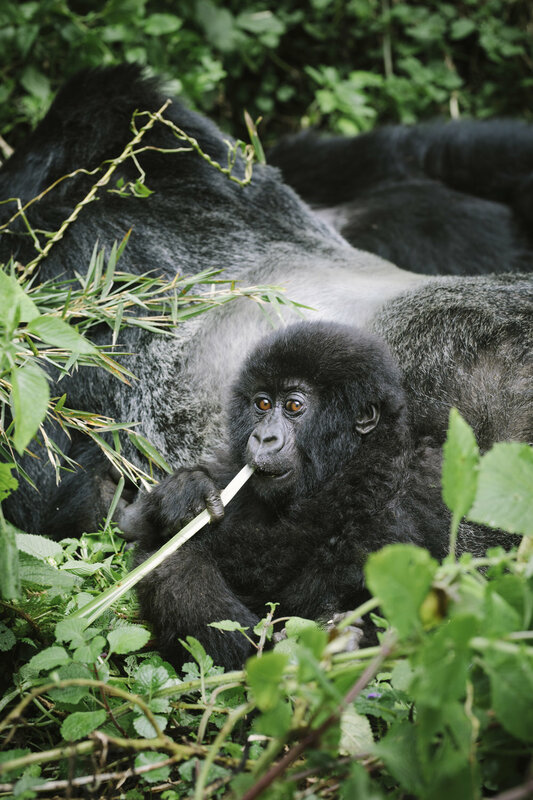 Gorillas rarely drink water, quenching their thirst through the vegetation they eat. I love the image of Agaysha here... deep in thought. 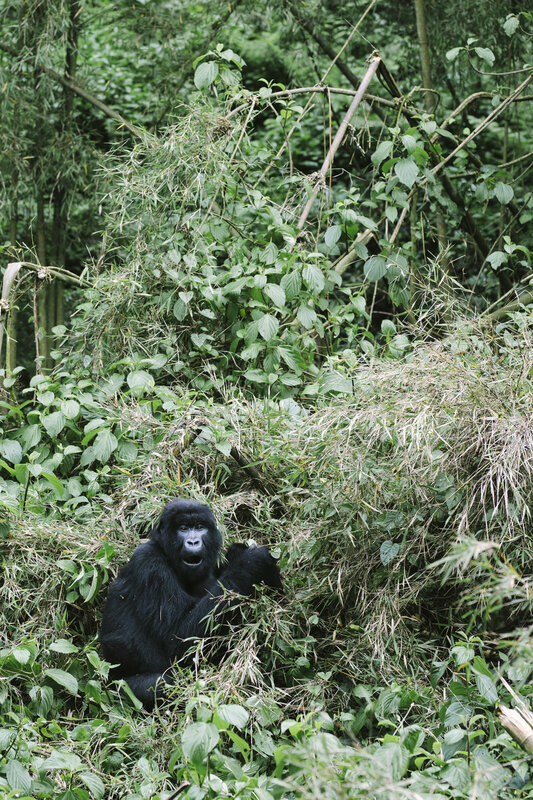 There are, in fact, two silverbacks in the group which is extremely rare. 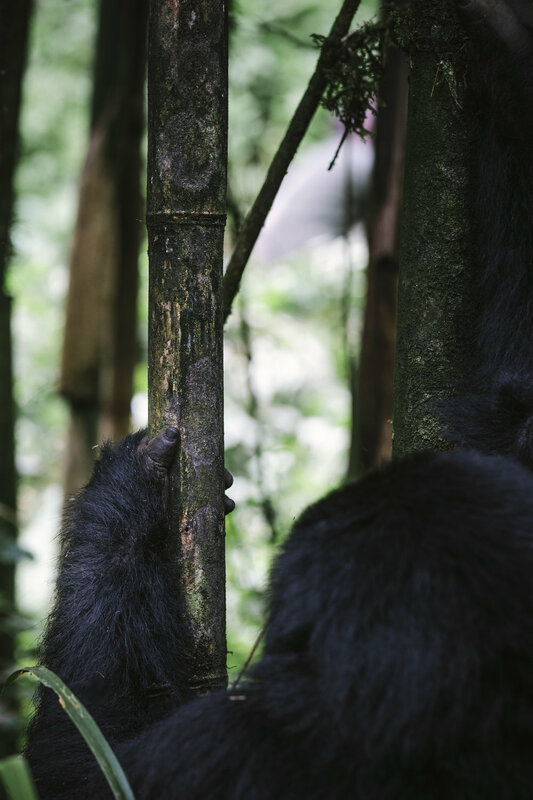 At 35 years old, Agaysha is coming to the end of his life and our guide tells us they think he is grooming the younger male to take his place after he passes away. An awareness I find astounding. Our wonderful guides and trackers. 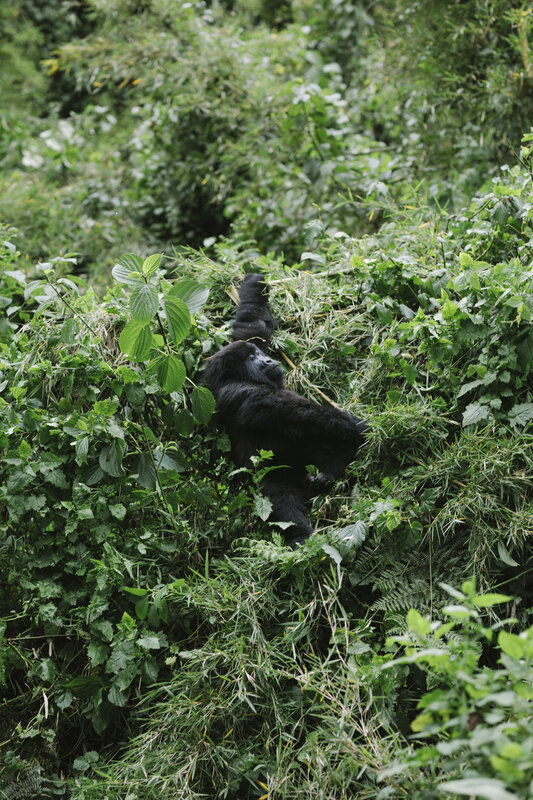 Gorillas make nests each evening to sleep, rarely staying in the same place. The trackers make note of each night's nest so they keep track of their rough location on the volcano. Back to our lodge high above the valley below. The sound of singing and beating drums floating in the air. Wonderful people. The land of a thousand smiles.